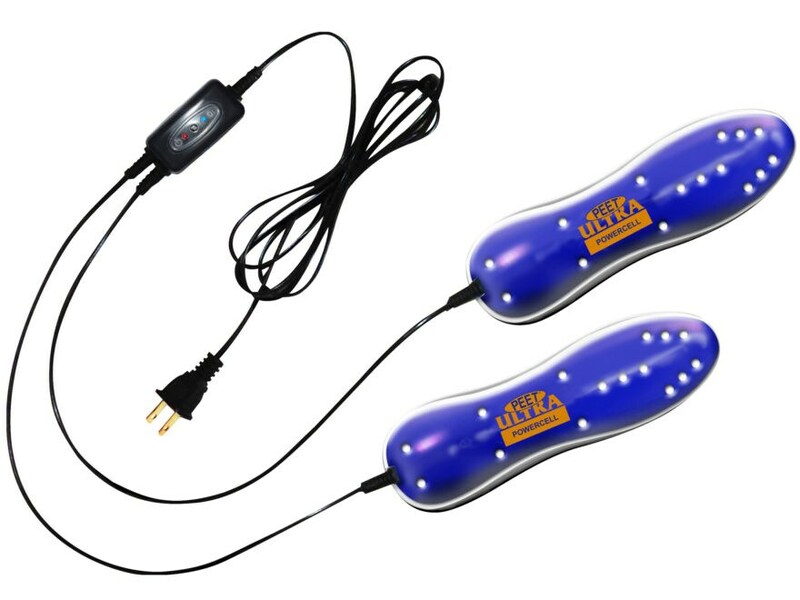 Portable twin dryers and deodorizers fit into any pair of boots, shoes, skates or cleats. Slightly warmed air is released throughout the footwear to dry nature's wetness and foot sweat. This genuine drying properly removes wetness from leather resulting in prolonging its functional life. You save money. Utilizing strictly controlled molecular science, it takes normal oxygen molecules (O2) and gives them a small but powerful, electrical charge. This temporarily creates oxidizing ozone (O3) molecules. When they come in contact with odor and pollution molecules, the O3 penetrates them. This destroys these bad molecules by altering their chemical make-up. Odor isn't covered up - it's abolished.